Savvy Spending: CVS: Better than free L'Oreal Total Repair Shampoo and Conditioner (travel size)! 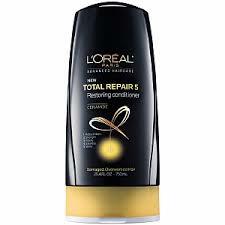 CVS: Better than free L'Oreal Total Repair Shampoo and Conditioner (travel size)! If you're running to CVS, here's an easy deal you can snag on some travel-size hair products! Final Cost: FREE, plus a $3 Moneymaker!